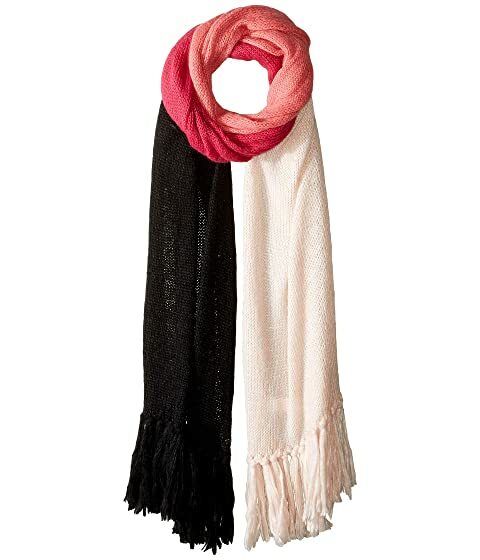 For cool, chic style, toss on the Kate Spade New York® Brushed Color Block Blanket Scarf. Classic brand name print at bottom corner. 58% nylon, 38% acrylic, 2% wool, 2% alpaca. We can't currently find any similar items for the Brushed Color Block Blanket Scarf by Kate Spade New York. Sorry! Super cute and sassy. Plus very warm and cozy. Love it! Love love love! Such a cute stylish scarf which also doubles as a shield against the cold weather - yay! A little long but this just means more to wrap around my neck when I need more warmth.